An occasional series in either production or One-of-a-kind pieces. 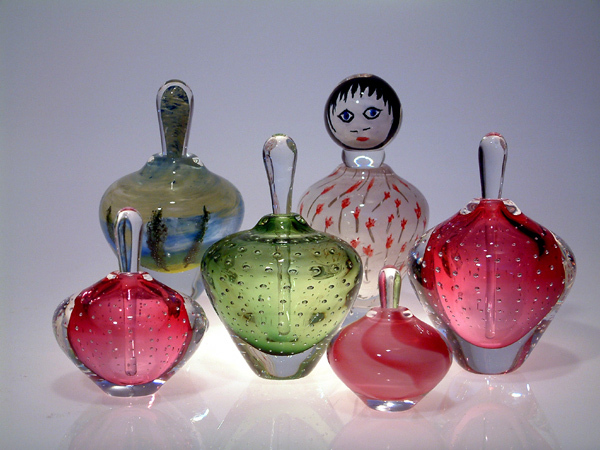 We love to offer a couple styles of perfume bottles in both the current favorite of our production line and a one-of-a-kind style. This year is no exception. In our production line we offer this classic shape in our popular bubble style. In our one-of-a-kind pieces we offer our hand-painted techniques.